Hello, Christine here and I will be working on Rural Wisdom in the Scottish Borders. 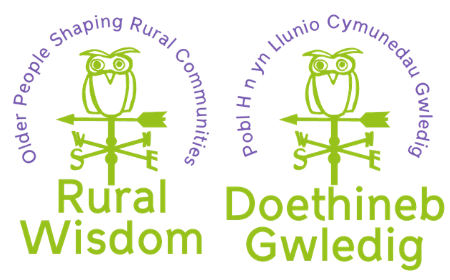 Rural Wisdom is a 5 year community development and shared learning project that explores the impact of community-based activities that are led by older people living in rural areas in both Scotland & Wales. It has been designed to benefit people across the UK. The Scottish Borders has joined the Rural Wisdom family for the start of year 3 and we have decided to start off slightly differently here in the Borders from how the first 3 areas started. The main difference is for the first areas we pinned down the area they were going to concentrate on right at the beginning but, we are not going to do that in the Borders. So for the next few months (well until the end of the summer) I will be touring the area visiting communities and groups to hear not only what challenges their communities are facing but also finding out what is working really well and sharing those success stories as I know we have lots of fabulous communities here in the Borders who are running community groups and finding innovative ways to solve their challenges. Then at the end of the summer we will see if we want to narrow it down or continue to work all over the Borders! So far my grand tour has taken me to Kelso, Caddonfoot, Newtown St Boswells, Galashiels and Duns. I have met with local councillors and MSP’s to find out what issues they are hearing about in the areas they represent and I have been New Age Kurling with the brownies. It is very early days but a challenge that has come up everywhere I have been so far and with almost everyone I have spoken to is transport. This has come up time and time again both here in Scotland and in Wales during the first 2 years of Rural Wisdom, but some places have come up with really innovative solutions. My plan is to bring some of them to Galashiels on the 29th May 2019 so we can hear how other areas are solving transport challenges with the hope that maybe we can come up with innovative sustainable solutions that works for the Scottish Borders. I am also putting together plans for an intergenerational group in the Caddonfoot/Clovenfords area which we hope to start in the summer and have lots of groups to visit already in the diary. I am really looking forward to visiting lots of places during the spring and summer months so please if you are part of a community/group that would like to share how your community is working or the challenges it is facing please get in touch with me. My email address is; christine@otbds.org or give me a call on 07921265515.